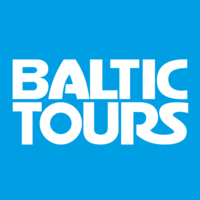 Baltic Tours – tour agency established in 1991. We are well-known travel gurus constantly organizing various trips, holiday tours and vacations of your dreams! Grab your travel package online now and explore Baltics, Scandinavia, Asia, Russia, Belarus, Ukraine, Poland! Quality service and affordable prices – guaranteed. If you are looking for more information on such subjects as, e. g. “Best Places to Visit in Scandinavia“, “The Best Time to Travel in Scandinavia“, “Top Things to Do in Scandinavia“, “Cheap Vacation Spots in Europe”… – do not forget to check our travel blog where we explore all the topics that are relevant to a traveller. Join our club today!